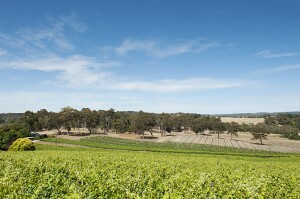 View overlooking some new Gruner plantings. It’s all done and dusted! The HHW GRU Gruner Veltliner 2012 is in the tank, dry fermented and blended. Just waiting for the new wine to be stabilized and then we can bottle this year’s exciting production. It’s always such a joy to hold up the very first bottle that comes off the bottling line – perhaps because it is the ultimate culmination of hard work and anticipation, all rolled into one pleasurable emotion. What I’m really holding in my hands are those drizzly winter days of pruning; the great excitement in spring when the first new buds are spotted; the tractor that broke down when we were putting up the bird netting; and the tractor that broke down again when we were removing the bird netting. So much squeezed into one bottle! GRU ’12 is going to be another vibrant vintage with fresh twists of citrus on stone fruit, spice and herbs. But what I perhaps love the most about this variety is its ability to produce wines of such a textural quality. The fresh vibrancy and extraordinary mineral components seem to unite and race alongside the delicate fruit flavours, tugging away at all the senses in your palate. So stimulating and always so refreshing! Schloss Gobelsburg ‘Gobelsburger Lössterrassen’ Grüner Veltliner 2010. As a bit of a celebration, I cracked open a bottle of Schloss Gobelsburg ‘Gobelsburger Lössterrassen’ Grüner Veltliner 2010. 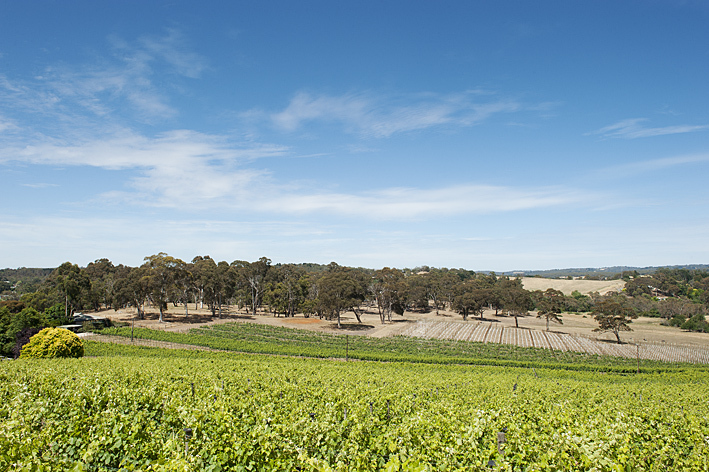 This entry was posted in Adelaide Hills, Blaufrankisch, Gruner Veltliner, Uncategorized, wine and tagged Adelaide Hills, Blaufrankisch, Gru, Gruner Veltliner, harvest, New Planting. Bookmark the permalink. What a cool blog! Never knew so much about wine – at least the way you describe it. I can tell it is a passion. I keep coming back to read your posts, very interesting stuff! Interesting site you have here.